Rhubarb does not get the respect it deserves. It is the first edible plant to emerge from the garden in the spring, and its leaves have the look of a wonderfully exotic red-stalked tropical plant. We have a neighbourhood cat who thinks they make a passible umbrella as well! 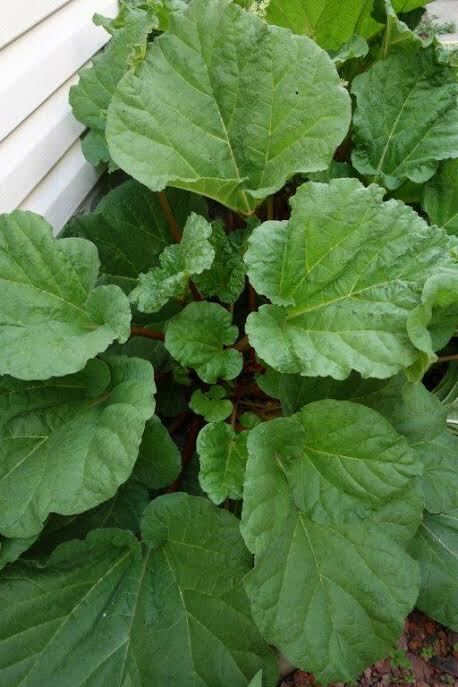 My first rhubarb memory is my mom sending me out with a little glass of sugar and letting me pull a stalk to dip. Yum! I remember it making my teeth feel strange, but I loved the sweet and sour combination. 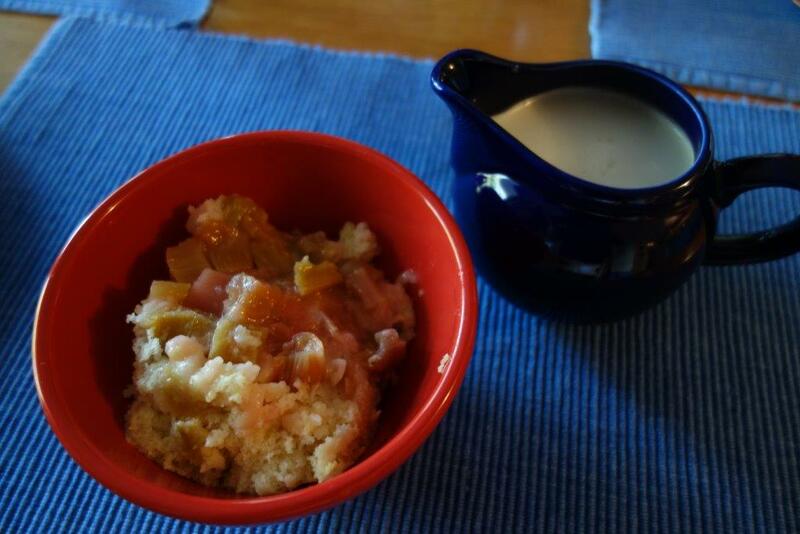 Who can resist a rhubarb cake with cream to pour over! Not I. The cake in this post is a recipe I usually use for raspberry cake, but it worked just as well for rhubarb. Cream butter and sugar. Add egg and extract, then add dry ingredients alternately with milk. Beat just enough to keep batter smooth. 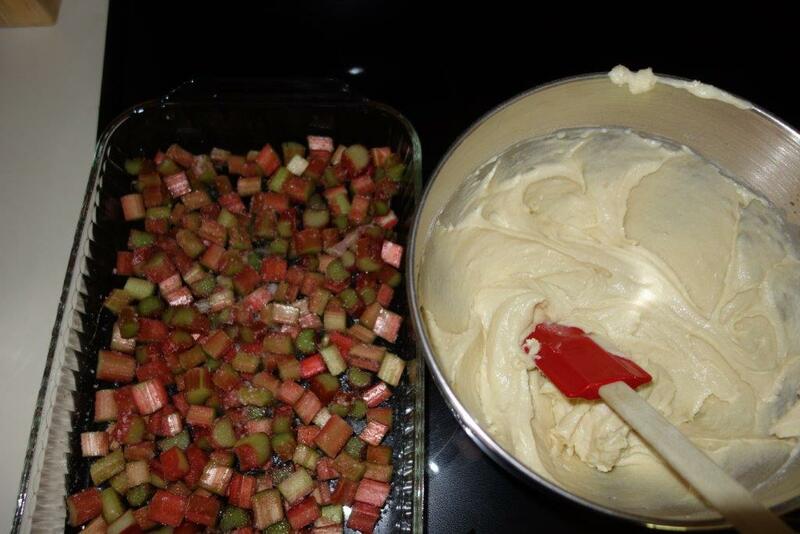 Put rhubarb in the bottom of a 9×13 pan, spoon cake batter onto. Bake at 375 F for 30-40 minutes. Serve with pouring cream. 😃. Sounds delish! We’ve been enjoying lotsa rhubarb with lavender lately ……. Oh boy! Not too much information at all! I love the idea of a cat named Rhubarb, even if it was fuel for sibling torment.